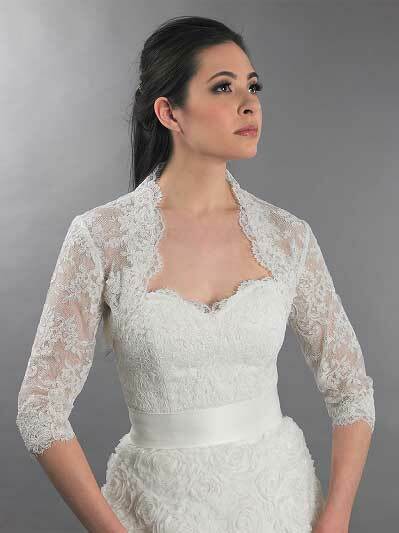 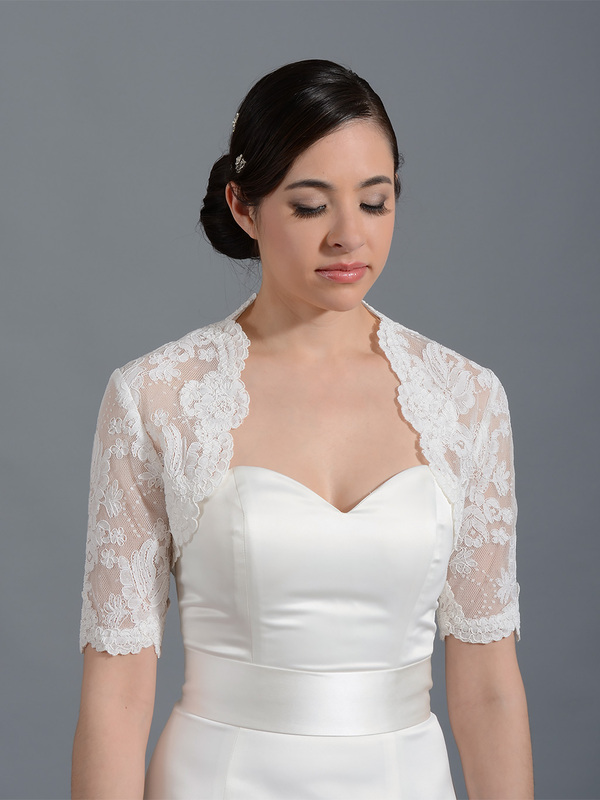 This is an elbow length sleeve bridal shrug/bolero/jacket made of alencon lace. 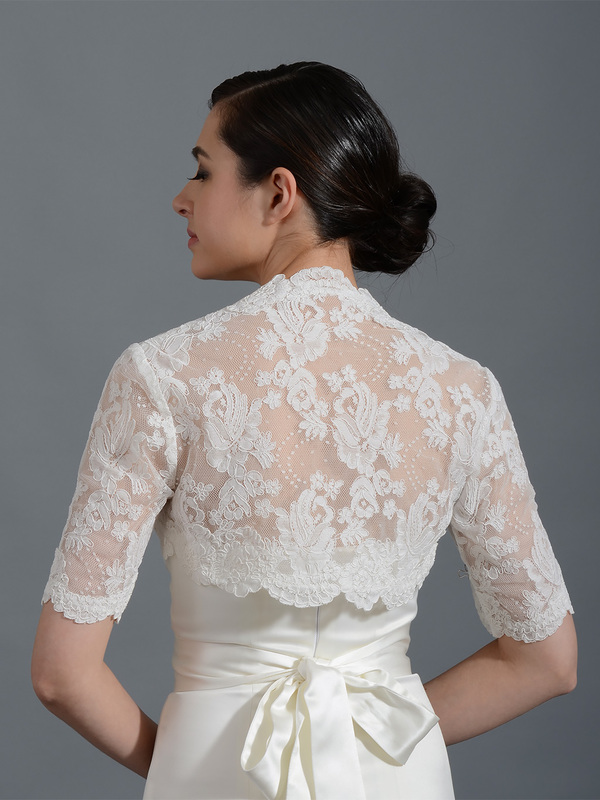 Available in ivory and white color. 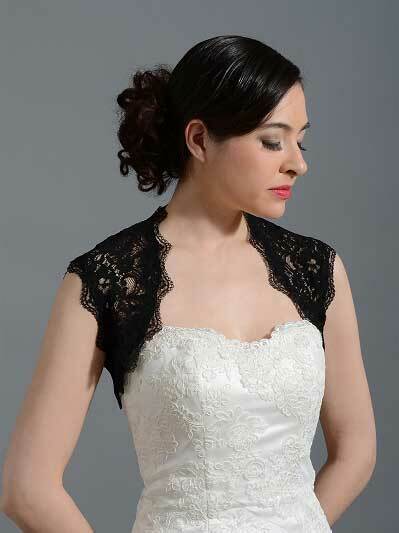 The pictures show the ivory lace bolero.